For a complete getaway far away from it all where you will become transfixed in paradise, the luxurious Villas owned and operated by CreteVillas4U offers the most ideal and peaceful surroundings on could ask for. 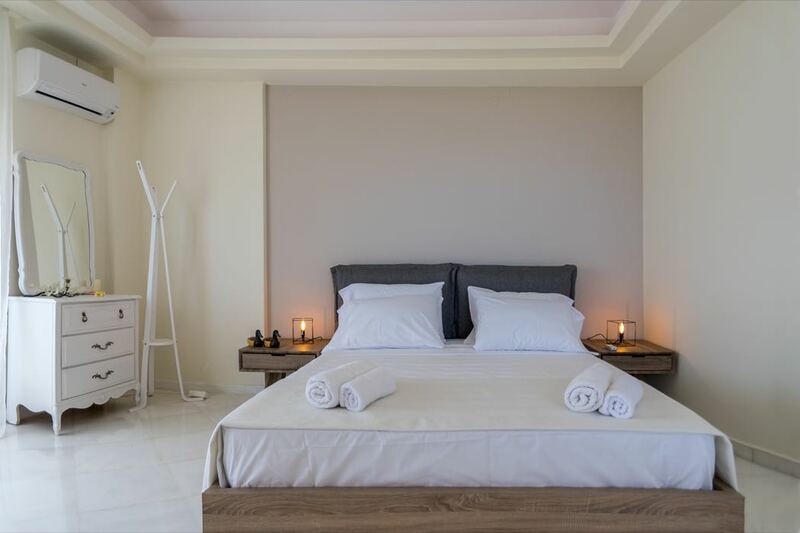 Set on Greece’s pristine island of Crete, they are an incredible value filled with sumptuous amenities and lovingly amounted detailing. You will be amazed during each and every step of your vacationing experience. Fly directly from London to Crete into Heraklion International Airport on British Airways or Aegean Airlines in just under four hours. There are dozens of sights and cities to behold in Crete. Witness the old world charm of Chania, which is set on the warm, blue waters in the Northwest region. Comb the labyrinth of narrow, cobblestone walkways for a romantic, unforgettable stroll and explore the small restaurants and shops. Learn about the rich history of the island while taking in all the sun and sand while relaxing on one of their many renowned beaches. Elafonissi Beach in Southwest Crete, for example, offers the best of both worlds with magnificent vlews of the mountains and the expansive Mediterranean waters. The luxurious villas are yours to behold for the holidays, vacationing with family and friends, or for any special getaway occasion. 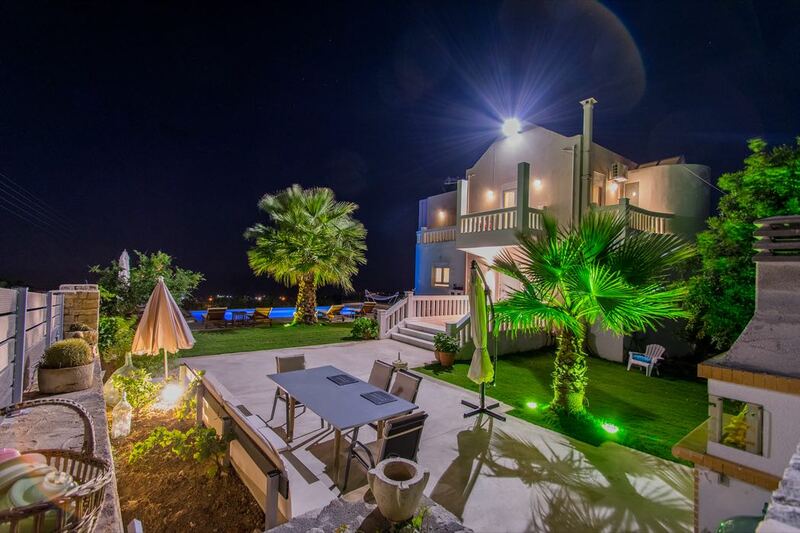 There are dozens of villas to choose from across four cities in Crete: Chania, Rethymno, Heraklion, and Lasithi. Each extraordinary property boosts top-notch amenities, spacious rooms, and on average can sleep more than ten guests. Live your dream come surrounded by the picturesque countryside and villages. Each villa is in a category of its own, with generous features and aesthetical interior design. Many of the villas offer their own private pool for rest and relaxation after a busy, well-spent day. No detail is overlooked from receiving a welcome pack upon arrival and 24-hour check in to full housekeeping and high-tech kitchen amenities. All of your needs outside the villas are just a phone call away. Guests are able to conveniently book taxi service, airport pickup, car rentals, personalized tours, wine tastings, cooking workshops and more. You can even book a massage or beauty therapy at the villa to help you feel rejuvenated and completely relaxed. 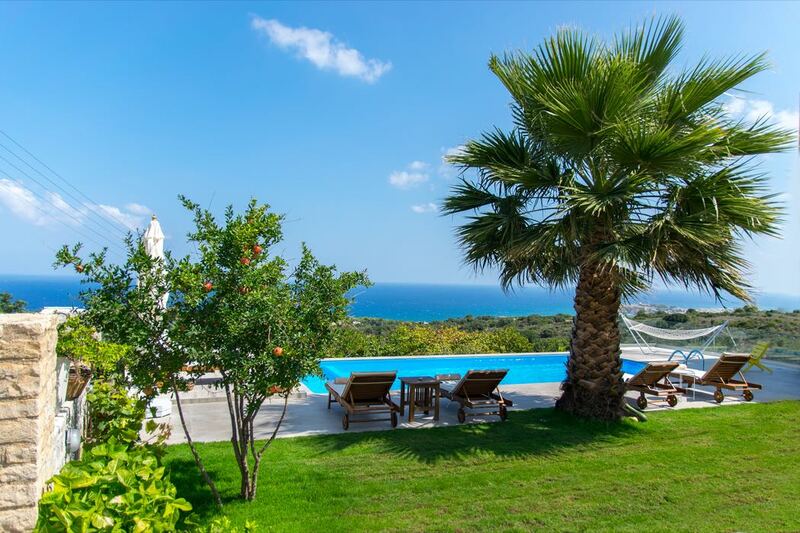 Embrace the true essence of relaxation and comfort with Villa Infinity, a newly built (2015) villa that offers alluring views of the crystal clear blue waters of Kolpos Almirou Bay. 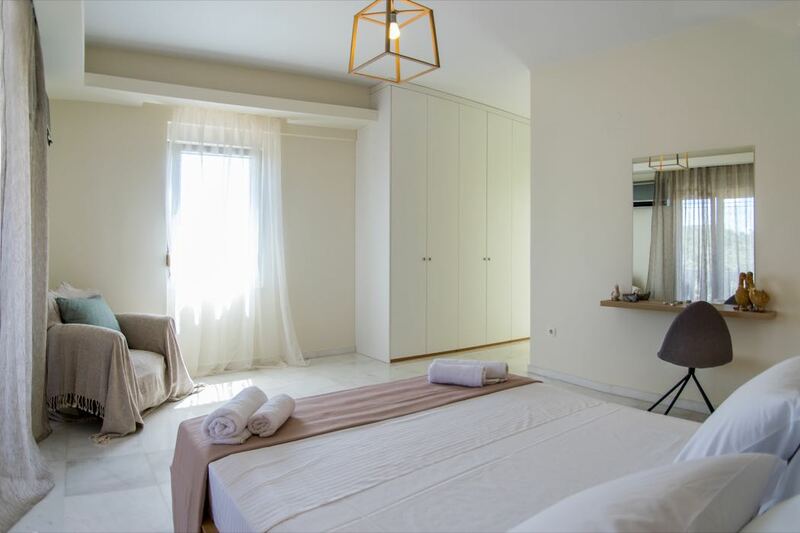 The villa is set in Atsipopoulo Village just outside Rethymno City in the middle of Crete’s pristine North Coast. 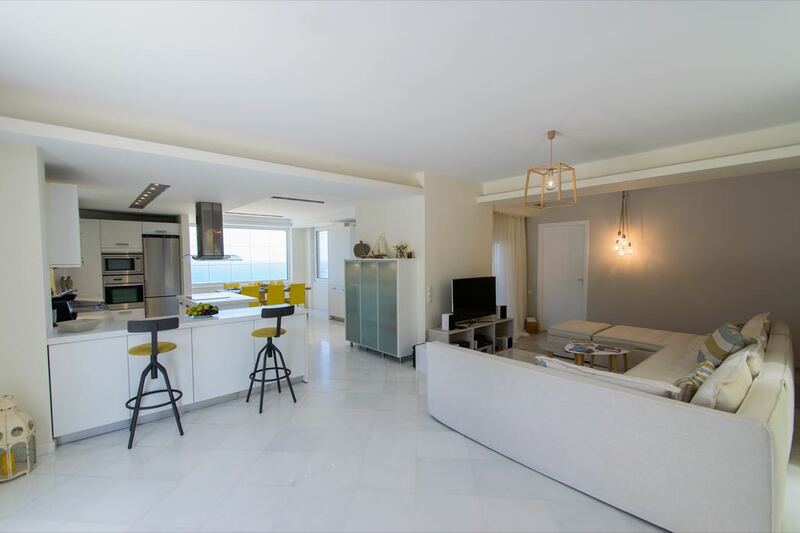 Offering the highest quality living standards matched with unsurpassed, breathtaking detailing throughout, it is perfect for that idyllic family holiday you have been dreaming of. 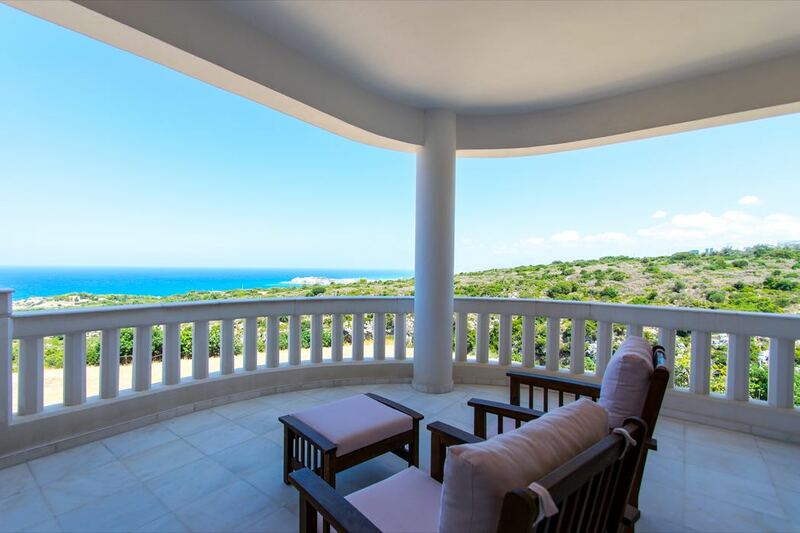 The expansive villa, which sleeps 9, has two floors with four beautifully appointed bedrooms and three bathrooms. 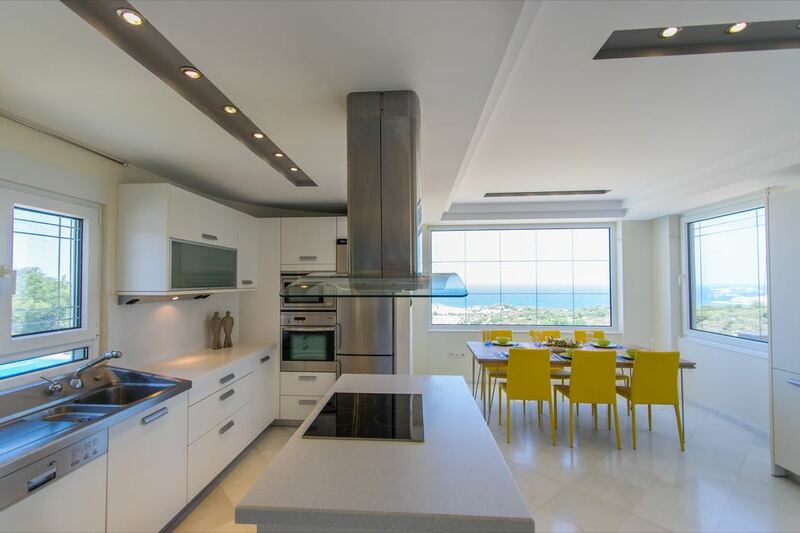 There is a fully equipped kitchen for cooking anything your heart desires as well as an open living room and dining area. 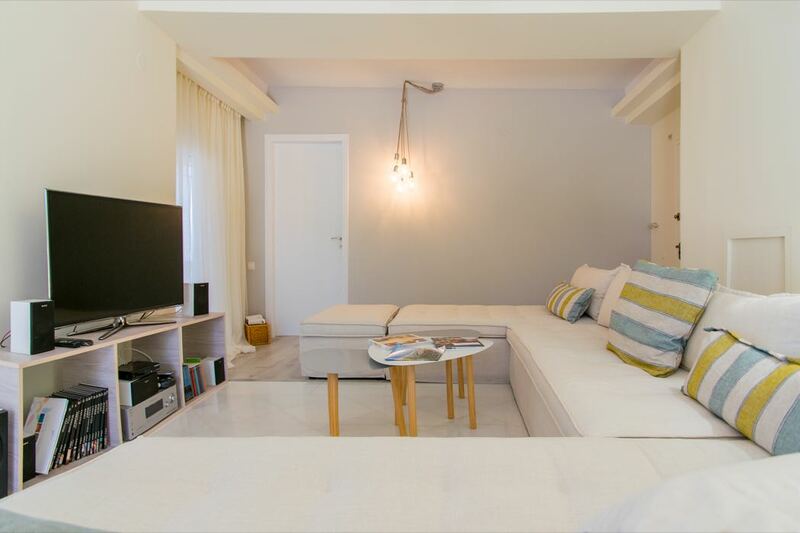 Relax in the afternoon on a cozy sofa or soak up the sun on one of the three bedroom balconies that offers beautiful panoramic views of the sea, lush landscapes, and Fortezza, the historic castle of Rethymno. Spend the evening barbecuing outside paired with a swim in your very own infinity pool. Children are very much welcome at the villa! You will find children’s games and a CD player for indoor entertaining in addition to the proximity of being located just 2km away from the beach, perfect for a mid-morning scenic stroll with the whole family. Additional included amenities are wifi, air-conditioning, a safe, fireplace, housekeeping, a jacquizzi, and parking. If you choose not to rent a car during your stay, there are frequent buses to and from Atsipopoulo. Take a day to explore the old town of Rethymnon, one of the oldest and best-preserved towns of the Renaissance. This seaside town combines oriental features reminiscent of the Turkish period with Renaissance, Venetian architecture. You can also read my other top five best articles to discover my pick of the best beaches in Crete, the best destinations in Europe for 2017 and the best beaches and luxury hotels around the world.